Upgrading to Microsoft Office 13 Training Course. One half-day (demo or limited hands-on session) or One full-day (hands-on session). This course will be tailored to your needs and only the applications relevant to your organisation will be included if you prefer. 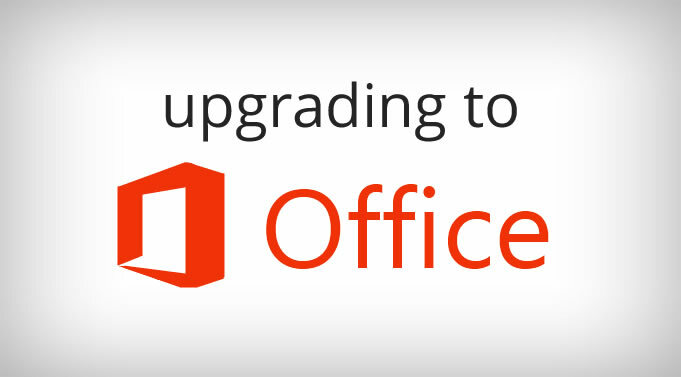 After completing this course you will be productive with Office 2013; know new features and changes to your favourite Office tools; know which features have been removed and their replacement; be able to produce and collaborate on documents; spreadsheets, presentations, databases and with your email. Existing Office users who are transitioning from Office XP, OFfice 2003, Office 2007 or Office 2010 to the latest version of Office 2013. If you have limited prior experience of working with computers, let the tutor know at time of booking. Basic prior knowledge of previous versions of Office is required to attend this course.